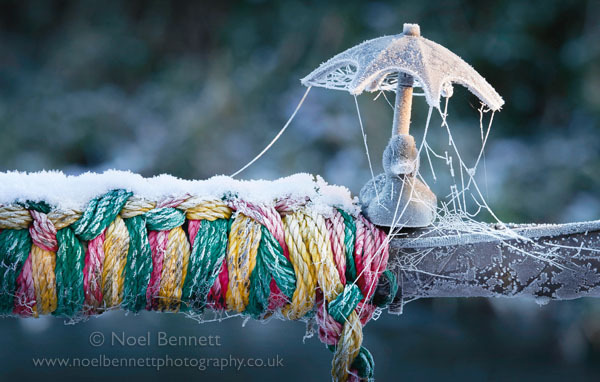 Another look at the frost covered narrow boats on the Trent and Mersey Canal. I set up my 100-400mm lens on the old tripod to take this shot. The lens can be beautifully sharp and does a good job of throwing the background out of focus. No stress this time, the mallard wasn't going anywhere! Now a winner at 3 Counties Open Photography Exhibition 2011.